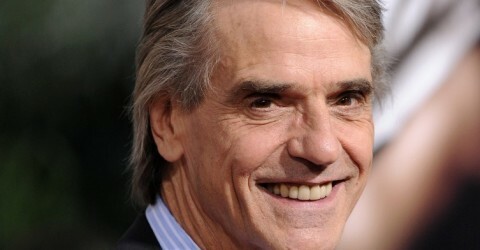 Jeremy Irons has spent a long time shooting in Hungary. The Academy Award and Golden Globe winning British actor has been happily married for decades. His wife is actress Sinéad Cusack, they have two sons. Marriage provides a framework to raise children. There are countries where it is useful to be married due to the tax system, in other cultures it signals that “off with your hands”! Personally, I believe it is still the best institution to raise a child. If I had fallen in love with someone, with whom we hadn’t wanted children, I would not have been interested in this bond, but if your intents are serious, then marriage is the only way. There are storms in all marriages, but the kids need two parents, even if you argue sometimes – says Jeremy Irons, who believes in marriage. Not that marriage is a walk in the park, but it is important in raising children. My kids have already flew out, but every parent knows that kids do not ever really fly out. They need maternal-paternal care even when they are over thirty. And deep down it is important for them to know mum and dad are fine. From the London Times, Saturday 23 June 2012. 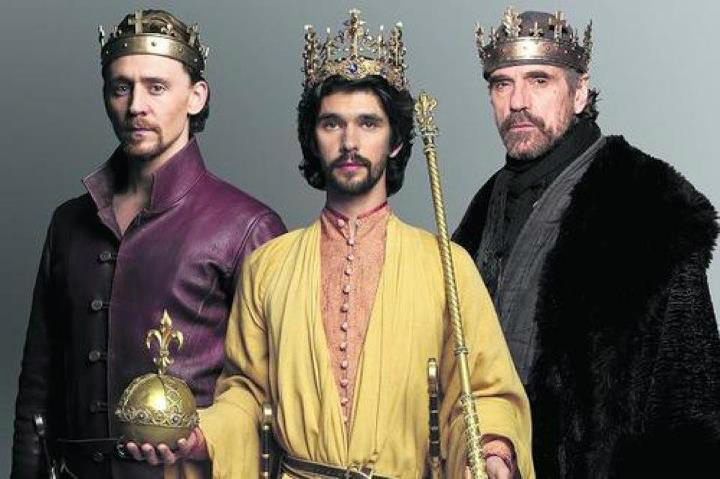 Ben Whishaw, Jeremy Irons and Tom Hiddleston are bringing the history plays to the BBC. Andrew Billen talks to them. Uneasy lies the head that wears the crown — uneasy even, one imagines, if it is worn merely for Harry, England and the BBC. 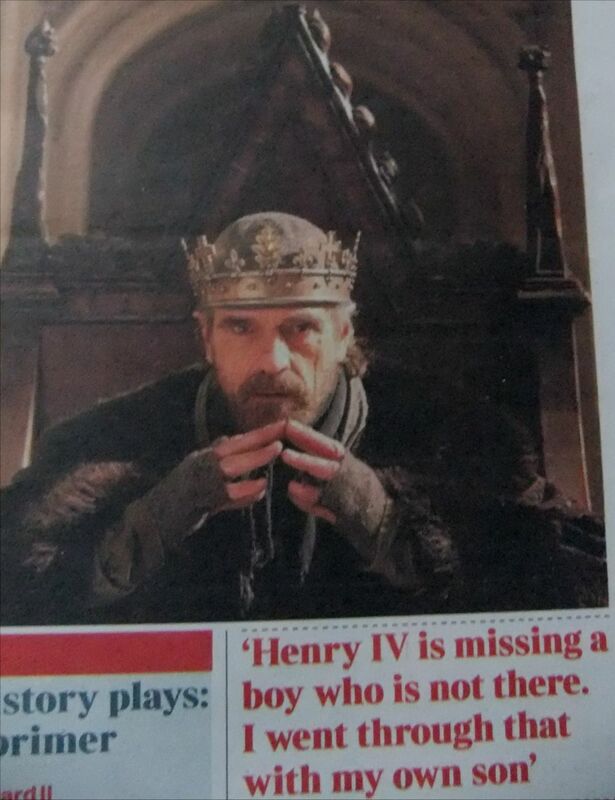 Any actor playing the king in Shakespeare’s second tetralogy of English history, the Henriad, composed of Richard II, the two parts of Henry IV, and Henry V, must feel the crown’s weight. It has rounded the mortal temples of Alec Guinness, Paul Scofield, Derek Jacobi and Mark Rylance (among the Richards), of John Gielgud, Jon Finch and Tom Fleming (the last of whose Henry IVs became the voice of royal ceremonial for the BBC), and, most burdensomely, of an army of hyper-distinguished Hals led by Ralph Richardson, Laurence Olivier, Richard Burton and the just-knighted Kenneth Branagh. But for Ben Whishaw, Jeremy Irons and Tom Hiddleston, who sequentially play the kings in the BBC’s new cycle, The Hollow Crown, there is another responsibility. Shakespeare on TV has fallen out of fashion. The once familiar BBC Shakespeare production — there were more than 60 between 1945 and 2000 — has disappeared to be replaced by the occasional BBC film of a hit stage version. Even with Ian Holm as Lear, David Tennant as Hamlet, and, tomorrow on BBC Four, Jeffrey Kissoon as the RSC’s current Julius Caesar, this is not quite the same. The BBC’s last Richard IIs, for instance, were Fiona Shaw (from the gender-swapping 1995 National Theatre production) and Mark Rylance, filmed at the Globe in 2003. 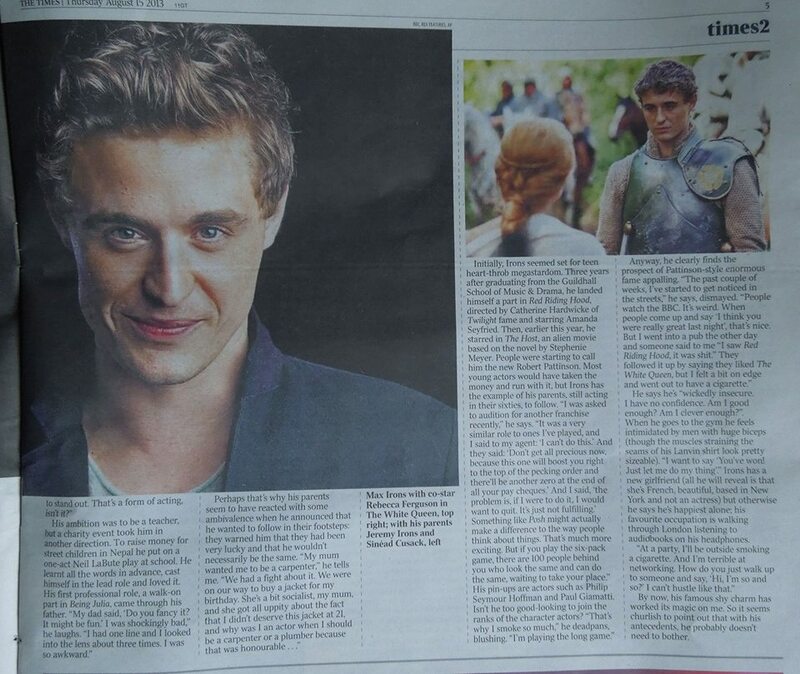 Incredibly, there has not been a BBC Henry V for 32 St Crispin Days. That play begins by apologising for cramming “so great an object” within the “wooden O” of the stage. Today, the question is whether Shakespeare, with his worrisome language, lengthy scenes and habit of arriving DOA in classrooms, is interesting enough to fill our great plasmatic rectangles. Taking advantage of the nation’s widescreens, the executive producers Sam Mendes and Pippa Harris have opened the dramas out, cinematically, into Britain’s countryside, castles and cathedrals. The plays’ respective directors, Rupert Goold, Richard Eyre and Thea Sharrock, have encouraged their casts to deliver often heavily-cut speeches conversationally. Soliloquies, following the convention of Olivier’s 1948 Hamlet, are delivered as voiceovers. But what casts! Not even counting those kings, to whose number one must admit the dourly brilliant Rory Kinnear as Richard’s successful challenger Bolingbroke, there is the fat-suited Simon Russell Beale as a delicate, scheming Falstaff, Joe Armstrong as Hotspur, and, down in Falstaff’s unruly alternative court in Eastcheap, Julie Walters as Mistress Quickly. Again and again, actors we have taken for granted prove true Shakespeareans. But it is when the kings wrangle over the crown that the films electrify. Ben Whishaw as Richard, reluctantly persuaded to abdicate in Bolingbroke’s favour (“Here cousin!”), bursts into tears, almost hands over the crown, takes it back and finally rolls it truculently towards Kinnear, who is wearing an expression that might be texted as “WTF?”. 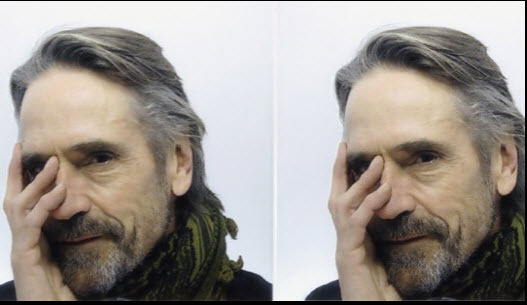 For Jeremy Irons, who takes over from Kinnear as Henry IV in the two plays that follow Richard II, the story burrows towards the particular and the personal. Henry, so assured when he was Henry Bolingbroke, a duke unjustly exiled by the whimsically despotic Richard, is now plagued by ill health brought on by guilt at having usurped a divinely anointed king. The barons, not liking their new monarch much more than the last, again divide the kingdom. Any actor playing this Henry finds the plays’ form following their content. He is the star in title only. In performance he vies for attention with his tearaway son-and-heir Hal, his rebellious rival Hotspur, and, above all, Falstaff, who not only represents that hedonistic boozer faction in the English character but is a dissolute second father to his son. For many theatre-goers over the centuries, and for Orson Welles in his movie Chimes at Midnight, the star ofHenry IV is Sir John Falstaff. Irons’ solution to the plays’ divided attentions is to make Henry’s throne its own centre of gravity, turning it into a virtual sick bed. Irons, 63, six years older than Henry at his death, wears the hollow crown over a hollow face, in a performance informed by his research into the real Henry, a “dazzling youth”, champion jouster, unjustly exiled and rightly outraged when Richard takes the estate of his dead father (Patrick Stewart’s John of Gaunt). “You would think he would be perfect, but in fact illness got him,” Irons says. “He used to have these fits. He would lie there apparently dead for ten, 20 minutes and then he would revive. No one quite knows what it was.” But it adds to the scene when Hal believes his father dead. In a 1979 Henry IV, the BBC gave Jon Finch’s king leprosy, allowing for some Pilate-style hand-washing undermined by an off day in the continuity department that resulted in the king both wearing and not wearing gloves at the time. This time Richard Eyre determined leprosy would only mean Irons getting up even earlier into make-up. Instead Irons complicates his malaise with a father’s despair. Branagh renders the Harfleur battle speech from a white horse, crisply and at speed, revving up the “r” in “tiger”. Olivier before him, riding an equally pristine steed, waits for perfect quiet and speaks unlisping Churchill. But Hiddleston dismounts and kneels amid a group of soldiers, fixing them in turn. Breathlessly, almost desperately, he gives his pep talk as if the English are one-nil at half time and he is going on himself. The playing owes much to the realism of HBO’s Band of Brothers (which, of course, owes much to Shakespeare). 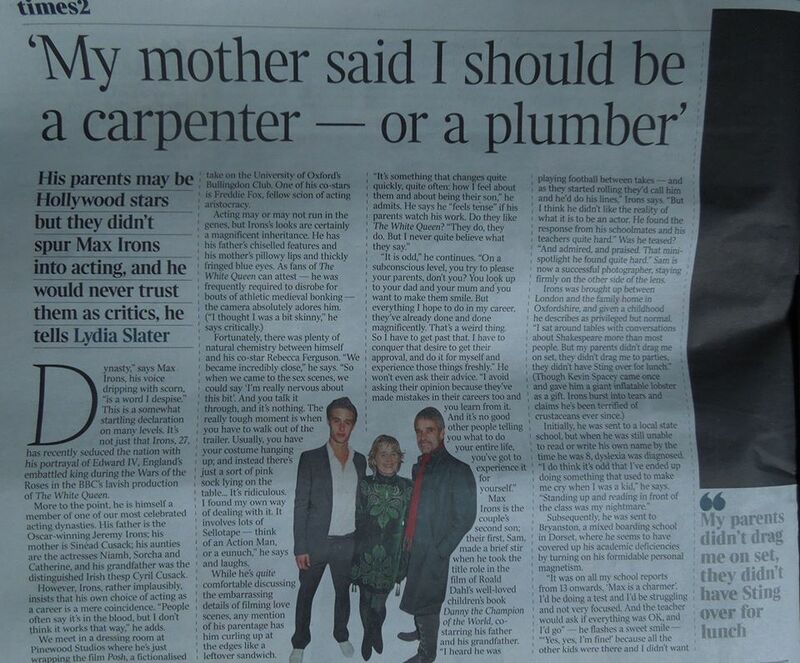 Hiddleston, who has played in several father-son struggles (Randolph Churchill to Albert Finney’s Winston in The Gathering Storm, Loki to Anthony Hopkins’s Odin in Thor last year) clashed lightly with his scientist father about whether to go into acting. One of the funniest moments of his Henry is when he delivers a perfect Irons impression down at the Boar’s Head. But the Henriad has got to him deeper than that, either that or 4am starts, pre-dawn runs and filming till dusk did. The responsibility of returning Shakespeare to television was not the three kings’ alone, but Whishaw, Irons and Hiddleston have more than delivered. As Whishaw says, we are told, and sometimes think, that Shakespeare doesn’t work on television: “His poetry needs a space to live in. It is metaphorical. Blah, blah, blah.” The Hollow Crown refutes such pessimism. Shakespeare is as intimate as television and as outsized as its widest screen. Our wooden O is the box in the corner of our little rooms, confining mighty men, and liberating them too.